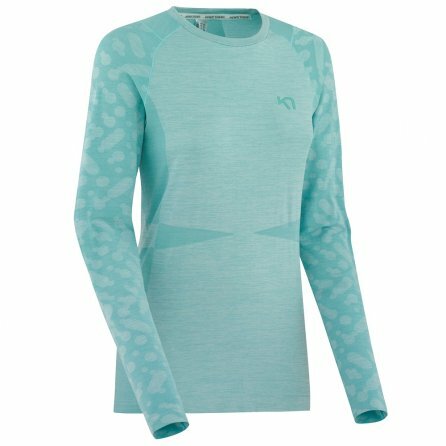 The Kari Traa Marit Long Sleeve Running Shirt is perfect for morning runs where there's still a bit of a chill in the air. It manages to both keep you warm and flatter your form, which can be a hard combo to find. It's seamless and has flat-lock stitching, so there's no chance of itchy spots from this shirt scratching your skin mid-workout. The Marit work out shirt also has high-tech stretch fabric mapping, meaning it's designed to be flexible in the areas where you need it most, like under the arms.